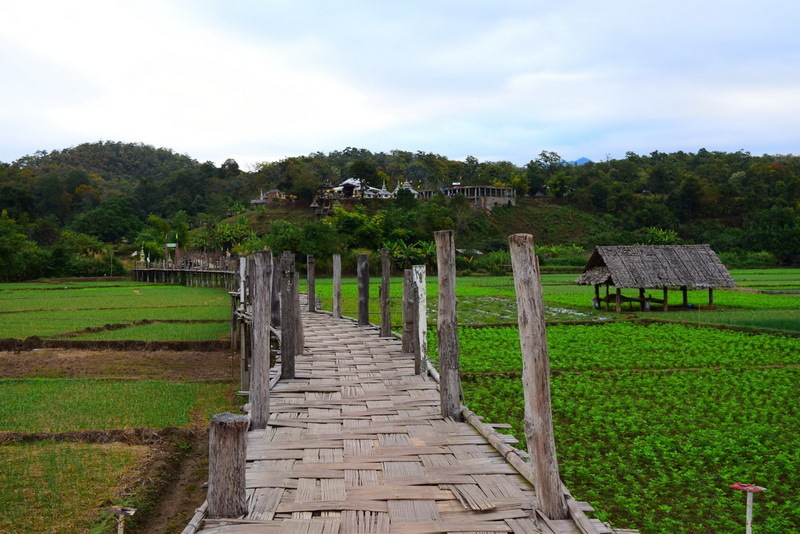 Su Tong Pae bamboo bridge located on the outskirts of Mae Hong Son City. 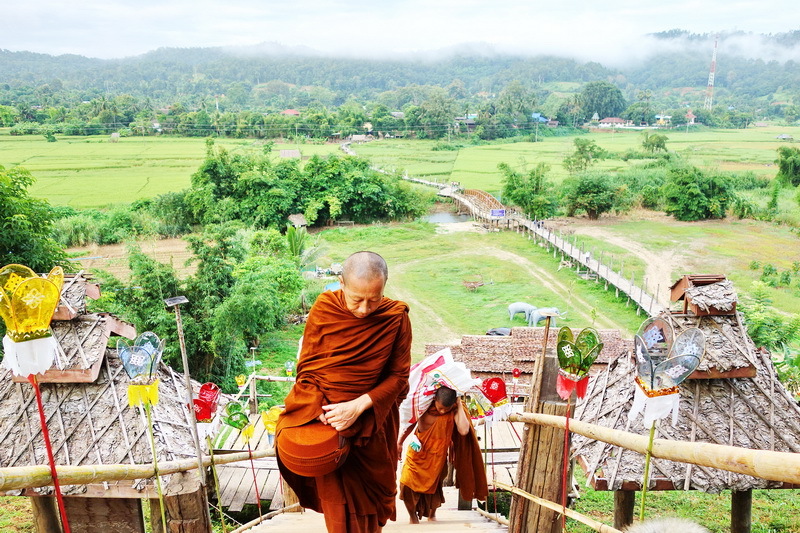 In the village of Ban Kung Mai Sak in Mae Hong Song province, there is a picturesque bamboo bridge that crosses Sa-Nga river and a rice field. Su Tong Pae Bridge is 500 metre long and two meters wide and links the village and Phu Sa Ma temple on the hillside. 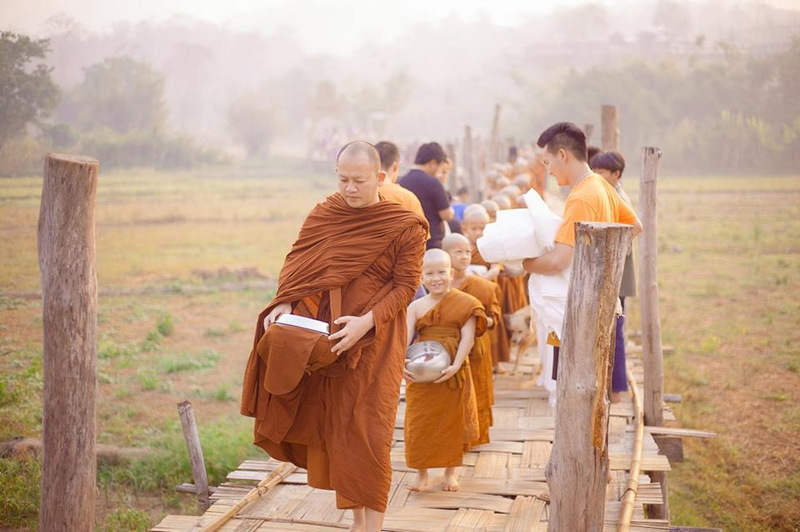 The bridge enables monks in the temple to go out on alms rounds in the mornings. 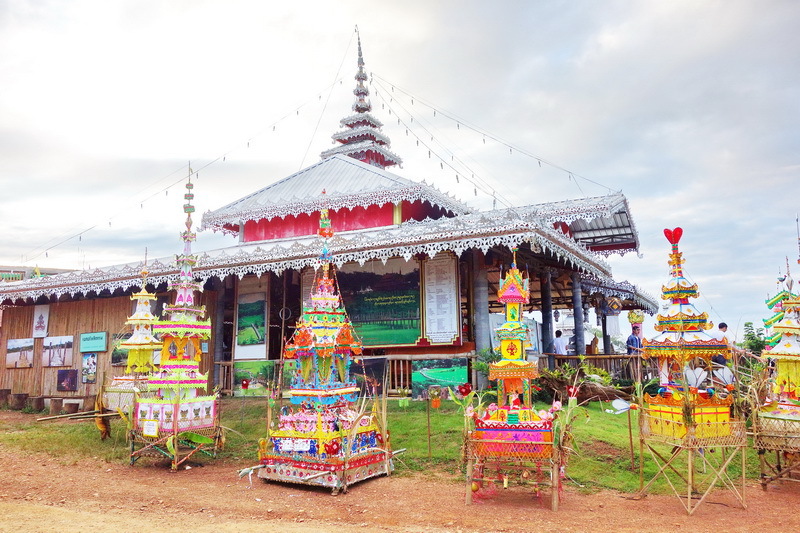 Ban Kung Mai Sak is about 12 km North of Mae Hong Son city. 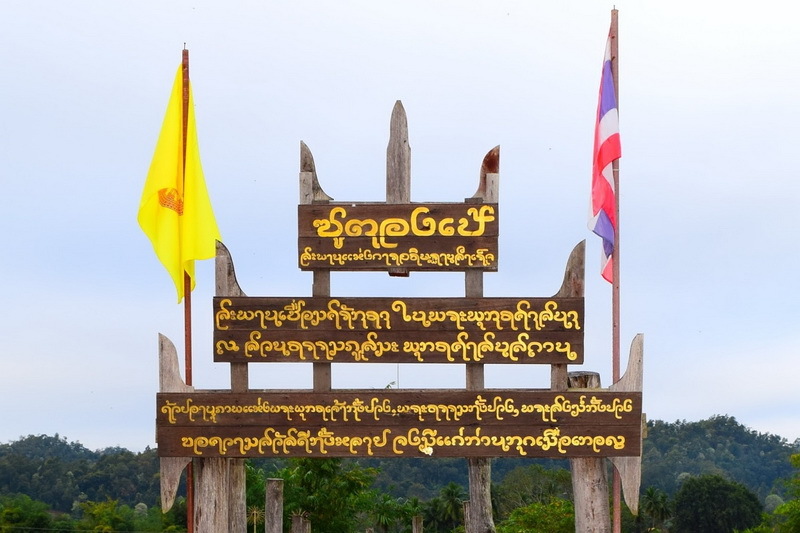 The name of the Su Tong Pae bridge translates as ‘successful prayer’ in the Tai Yai language and Su Tong Pae is a source of pride amongst the local community. Rice plantation owners donated the land and the villagers came together to construct the bridge using interwoven strips of bamboo for the walkway and wooden supports to elevate the bridge above the rice fields. 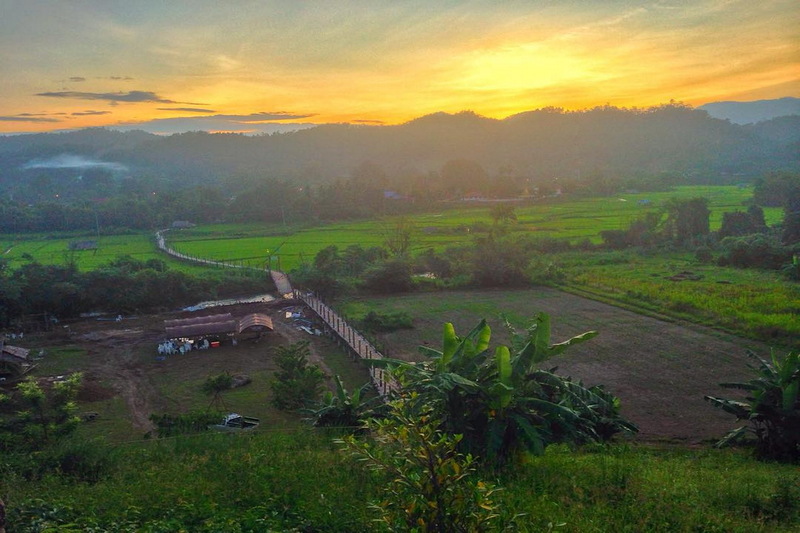 Su Tong Pae is one of the nicest bamboo bridges in SE Asia! Set amid beautiful green rice fields, you won’t be disappointed to come here and take a stroll on the sometimes shaky bridge. Also perfect for picture taking! Amazing pictures in the Morning, Monks carry bowls through this bamboo to receive alms. To Su Tong Pae bamboo brigde, Ban Kung Mai Sak, If coming from Mae Hon Son, it is about 10 kilometers from town on the left hand side. There is a hand-painted sign sitting on the ground with the words “Parking” in red and picture of the bamboo bridge, drive exit 2km or so.